Here’s a tip, a can of coconut milk can look intimidating & in the past, I’ve avoiding opening one, thinking I won’t be able to finish the whole thing: freeze it into individual ice cubes (in my case, heart shaped). Following my naturopath visit on Friday, I realised I did need to pump the nutritional value of my smoothies, but am not yet willing to put in a raw egg (although my brother swears by it). 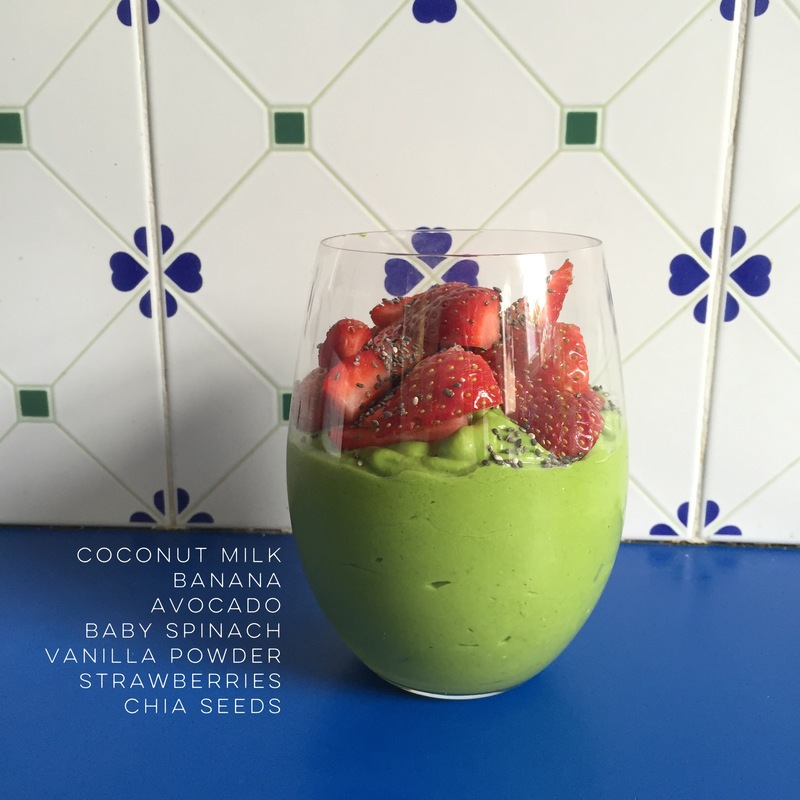 Blend all ingredients placing baby spinach in blender first, then vanilla powder, then heavy ingredients on top. 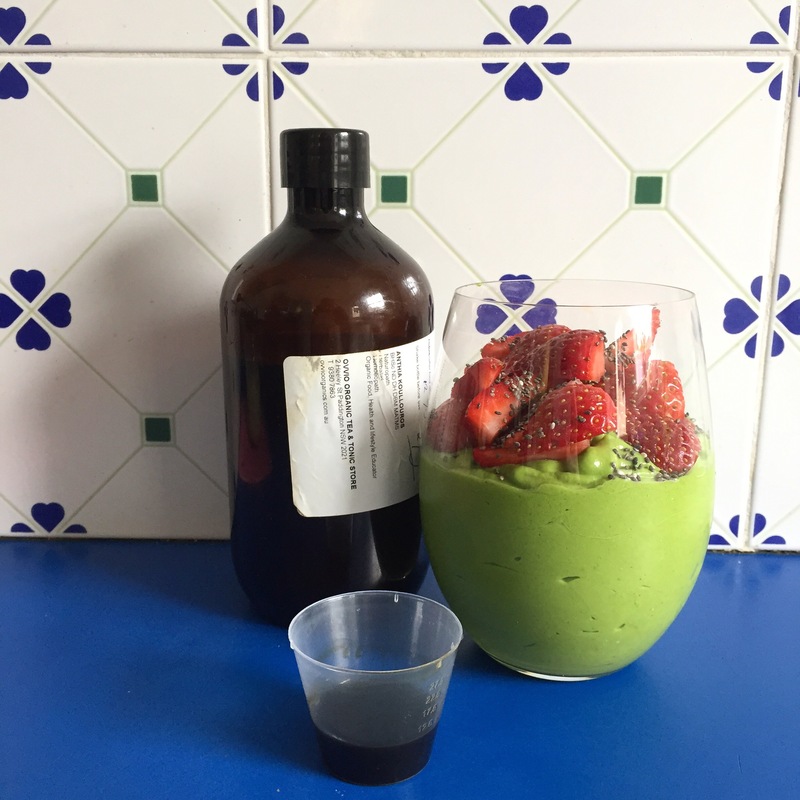 This entry was posted in Recipe and tagged anthiakoullouros, avocado, banana, blackchiaseeds, coconut milk, coconutmilk, eatmainlyplants, gluten free, grain free, green, green smoothie, Greensmoothie, heilalavanillapowder, organic, ovvioorganics, paleo, plantbased, Raw, rawvegan, rawvegansmoothie, smoothie, spinach, strawberries, vegan, vegetarian by 6 Clean Ingredients. Bookmark the permalink.